Best Whipped Facial Cleansing Soap Scrub & Mask you will Ever Try! Why? 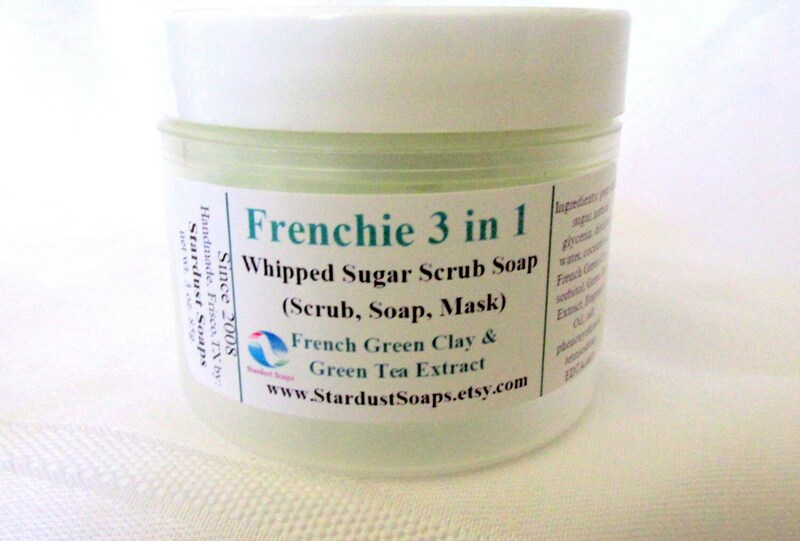 Because it is a Fabulous Whipped Soap Scrub, and it is also a Mask, with valuable minerals to nourish your skin, calcium, Iron,magnesium, phosphorus, sodium, potassium, copper, and selenium. Also contains green tea extract. Great for your complexion. You pinch a bit into the palms of your hands or fingers,with water and rub onto your face, and let it lather and exfoliate, you then have the option to let it set, for 3 to 5 minutes then rinse. The French green clay will help to extract any impurities as well as receiving the benefits from the minerals and green tea extract. Loved by those who use it. We have taken our creamy soap and cleverly combined with the exfoliating, skin loving benefits of raw cane sugar crystals and whipped it up. Gentle enough for use on the face. 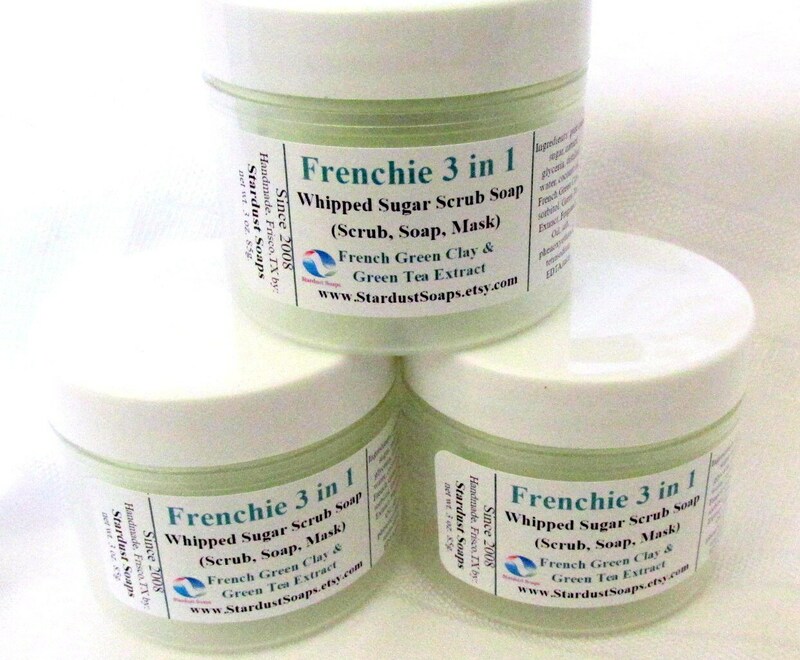 French green clay removes impurities from the skin cells, promoting healthy skin. Net wt. 3 oz each. message us, if you have questions. ***Combined Shipping Discount Overages, are Refunded Back To Your PayPal Or Credit Card upon order processing. This stuff smells spectacular! And seller included free sample of another soap. Fast shipping, good 1st experience.